Modern Contemporary Flair! This 20 plan is located close to the front of the development with an expansive view of the mountain and double fairway. Glass double door entry lead to a open living area with wooden flooring and smooth vaulted ceilings. A stylish kitchen has granite slab counters, new cabinetry and stainless steel appliances. The layout has a split bedroom floor plan with both bathroom being remodeled. This is a great opportunity! This gorgeous 3 bedroom 2 bath 30 plan has been completely remodeled with the 3rd bedroom and atrium converted to a den/TV room, both bathrooms have been remodeled with gorgeous custom counter tops and cabinets. The kitchen has been opened to the dining and living area with granite counter tops and newer cabinets. Recessed lighting throughout and an extended laundry room and patio with a newer retractable awning. The view is fabulous facing East across a double wide fairway with the mountains in the background. Enjoy your breakfast on the patio with the sunrise. This home is fully turnkey furnished per inventory, with all furnishings purchased since early 2015. Located on an expansive double fairway with mountain views and close to the front of the club, this is an amazing location! An open floor plan features tile flooring throughout and vaulted ceilings with added windows for lots of natural lighting. The kitchen has been opened to the living area and includes custom maple cabinetry, granite slab counters and new stainless steel appliances. The home is complimented with plantation shutters and ceiling fans in every room. Both bathrooms have been updated with custom vanities and granite countertops. The third BR/den has built in shelving and there is also a separate, expanded laundry room with built in desk, shelving and plenty of storage cabinets. The outside patio features matching tile flooring for a clean sleek look. Priced to sell!! Gorgeous Desert Contemporary Home nestled in a private area of Rancho Las Palmas CC welcomes you with Southern Mountain views, close to pool, green belt and golf course. No detail has been over looked in this well designed open floor plan. Newly remodeled includes textured walls, designer tile, carpet and interior doors.Living Room has dramatic fireplace with special lighting. Electric blinds in Living Room,Den and Master Bedroom. Solar Tubes in hallway and streamlined fans throughout. Living Room has energy efficient upper windows. Stunning kitchen with all new top of the line appliances including gas range, huge view window over stainless steel sink, marble counter, outside marble bar shelf. All Bathrooms have been remodeled, floors,sinks,counters and plumbing fixtures. Bonus is an overhead water spray in showers. This is an AT&T Digital Home including thermostat, front door camera, smoke detectors and secure security. The use of maintenance free artificial grass needs no gardener. Beautiful retreat offering 3 bedroom and 2 baths plus atrium,.This one checks all the boxes. This property is nicely furnished and features newer kitchen cabinets with granite counters and direct access to the patio. Both bathrooms have been redone with travertine counters and showers. Located within walking distance of the River and the Omni Resort.This is a wonderful place to live for an active lifestyle. This unit has an extended patio with views of the golf course and mountains perfect for al fresco dining or enjoying that glass of wine. Rancho Las Palmas CC offers 27 holes of golf, tennis courts, numerous pools and spas and a fitness center. Welcome to your completely updated & furnished condo in the heart of Rancho Las Palmas Country Club. Located west of the wash, steps from 2 pools, one fairway away from club house/tennis courts, & unbelievable mountain view makes this unit PRIME location. The interior of the property is 3 bedrooms (including murphy bed/den), 2 bathrooms, RARE 1,693 square foot plan, individual laundry room, & direct access from the garage to the interior of the unit. The custom upgrades include the removal of the atrium & replaced w/ custom granite counter top wet bar, marble floors, marble counter tops in both bathrooms, brand new carpet (in living room & master bedroom), stainless steel appliances, recessed lighting, built in cabinets & desk in den/murphy bedroom, & custom garage w/ epoxy floors/added lighting. The unit sits on a massive corner lot w/ fruit trees & the ultimate patio that features a Weber BBQ, patio furniture. & bar. This the ultimate Condo for full timer, investor, or second home! Residents and visitors at Rancho Las Palmas Country Club love the abundant views of the Santa Rosa, San Jacinto, and San Gorgonio mountains, as well as the beautiful green fairways and shimmering lakes. This Rancho Mirage resort offers the finest in luxury living and convenience. You’ll find a lot of the early California style in this 240 acre resort which features 864 single story condominiums. Residents have access to the low density grounds with 26 pools and spas. And every unit has its own patio and is owned individually. It’s a safe neighborhood with 24-hour guarded security. Amenities include comfortable patio furniture, gas barbecues, master bedroom with queen-size bed, bunk beds for the kids, new appliances, fully equipped kitchen internet access, and cable with the flat-screen TV. The living and dining area have a very open feeling to them and wonderful views out of extremely large windows. Highly ranked public schools serve this area including James Earl Carter Elementary, Palm Desert Charter Middle, and Palm Desert High School. Residents love being so close to the 27-hole golf course that was designed by Ted Robinson. It features three nine-hole layouts – South Course, North Course, and West Course- and six lakes. It is considered a very player friendly facility. The club also offers tournament planning for charity, corporate, and special events. Catering is provided and there is banquet space for up to 800 people. There are several dining options at the club including The Country Club Bar which offers five big-screen TVs and a casual pub style menu. In season events include: Friday Night Pub Nights with karaoke or live entertainment; Monday Night Horserace Dinners; Bingo Night; and Monday Night Football. The Rancho Las Palmas community is right across the street from the famous complex called The River which features dining, shopping, and entertaining. Other close venues include El Paseo, Street Fair, and McCallum Theater. The Palm Springs International Airport is just 20 minutes away. If you’re already working with a Real Estate agent, please utilize your agent’s website & direct expertise to aid in your home search. We are only able to directly serve our own clients. Thank you for your interest in the Rancho Las Palmas community, and we wish you the best of luck with your Real Estate needs. Whether you are contemplating buying or selling a home in Rancho Las Palmas, it is important that you hire the right team that fits your needs. We roll out the red carpet for buyers & sellers alike, and ensure you have access to us 24/7, as we aim to earn your business for life! 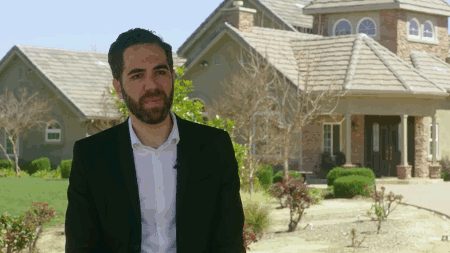 We understand the market well, and you will not find a more qualified Rancho Las Palmas real estate agent to help you with all of your Real Estate needs! As a buyer, you will have access to Rancho Las Palmas listings the second they hit the market, which gives you a leg up on the competition. As a seller, your home not only will be featured on one of the top Rancho Las Palmas sites on Google, but we also will syndicate your home to hundreds of other sites, hold weekly open houses, send out postcards, and much more! We have helped dozens of buyers & sellers, and look forward to helping you as well! This newly listed 2 bedroom, 2 full baths home, located on Calle Encinitas was first seen on Sunday, November 11th at 10:03am for a price of &dollar;329,000. With 1,270 square feet of total floorspace, this home comes in at &dollar;259.06 per square foot. That's 5.19% higher than the neighborhood average. There are also 2 garage spaces available for parking. Originally built in 1977, this home sits on a 2,178 square foot lot (S).